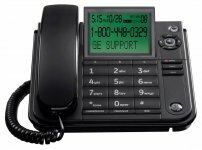 The General Electric 29585FE1 corded phone is an affordable phone with integrated caller ID/call waiting and a built-in memory that boasts 75 name/number caller ID history. 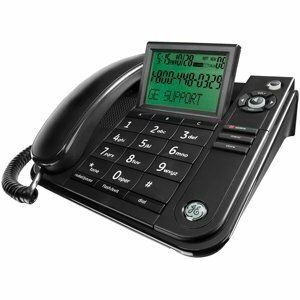 Make and receive calls efficiently with the integrated speakerphone, tone/pulse dialing, and line status indicator. This system also has 13 number dial memory, redial and flash functions. Telephone that can be mounted on the wall or a tabletop.